SPACE SCOUTS – Stellar Subscription Club for Kids! You are here: Home / Featured Products of the Week / SPACE SCOUTS – Stellar Subscription Club for Kids! Are you looking for a fun Space Science program for your child? 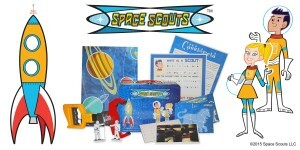 Space Scouts is an awesome monthly subscription club for kids ages 6-9. It’s really fun and educational and a great way to introduce children to Astronomy. I received a sample and I really like that there is such a variety of items included. ROXY and JETT will guide your child on a scouting expedition through the solar system, with focus on a specific place in space each month. 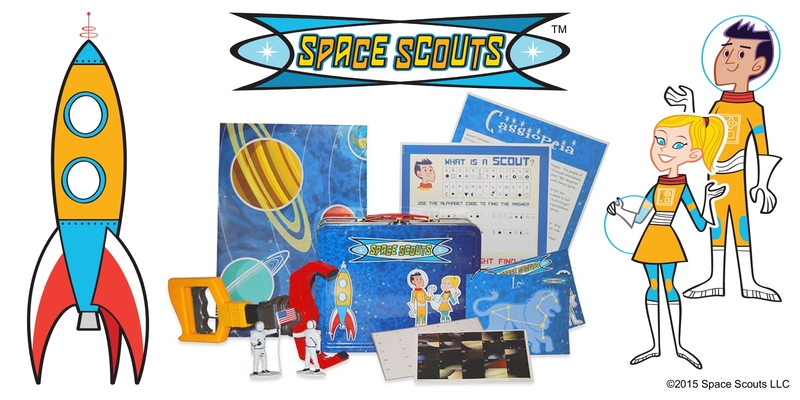 Begin the adventure with the Space Scouts lunchbox to use as a backdrop and storage for the monthly magnet collection, the Space Scouts solar system poster to map and mark with the monthly exploration sticker, and the Space Scouts constellation card startup kit to hold the monthly constellation card collection. If you are a Homeschooler, this really is a fun way to teach your child about Space. It would be a great supplement to your Science curriculum. Although my son is older (He is 11), he agrees that this is pretty cool for younger kids. I like that it is fun, challenging and educational. All plans renew automatically. Cancel anytime. 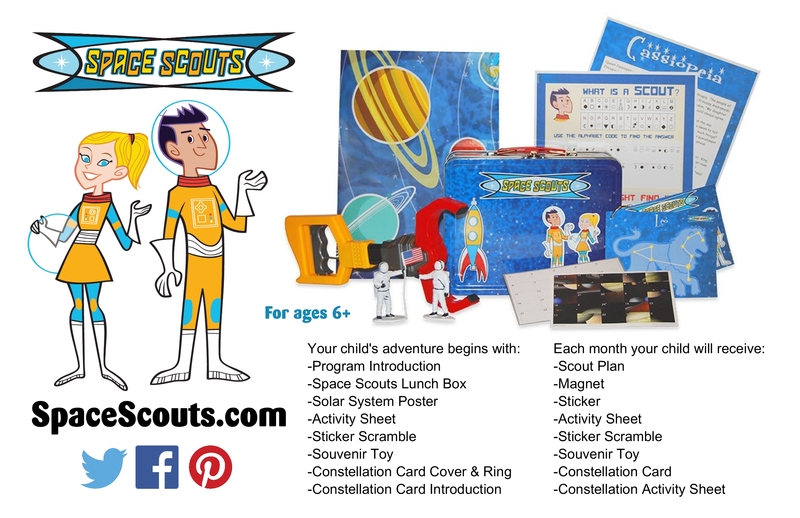 Use promo code STELLAR20 at checkout for 20% discount on initial purchase of any Space Scouts subscription plan. Expires 5/31/15. Self Disclosure: I received free products in exchange for an unbiased review. Photo Credit: Space Scouts.